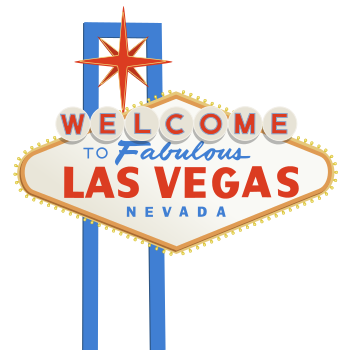 Success of Las Vegas SHOT Show a Harbinger for Gun Industry Growth? Chris Krueger, an equity analyst who covers the gun industry, is in Las Vegas this week for the National Shooting Sports Federation’s 39th annual Shooting, Hunting and Outdoor Trade [SHOT] Show. He’s bringing with him the perception that the boom enjoyed by the firearms industry over the last two years is over. He told reporters for The Trace, the Bloomberg-funded anti-gun magazine, “It’s a very uncertain environment right now” and that he’ll be looking for evidence of that uncertainty in Las Vegas this week. At first blush, he might be expected to find some. After all, the stock prices of gun makers Sturm, Ruger, and Smith & Wesson lost a quarter of their value in the three days following the November 8 election in what some called a “relief sell-off” — relief that anti-gun Hillary Clinton lost the election to pro-gun Donald Trump. And the 19-month-long period of record background checks ended in December. But Krueger is likely to be disappointed. The SHOT show this year (the largest trade show of its kind in the world) is hosting some 65,000 industry professionals (the show is not open to the public) from all 50 states and more than 100 foreign countries. It is also hosting more than 1,600 exhibitors (covering nearly 13 acres inside the Sands Expo Center in Las Vegas), an increase of 20 percent over last year. And that doesn’t include the 2,500 members of the outdoor press covering the event. The $6.7 billion industry is seeing purchases continue at a steady pace, while those gun makers’ stock prices have jumped almost 10 percent since their November lows. In fact, the industry is ramping up to meet increasing demand, demand not driven as much by potential perceived political oppression through more gun laws as by concerns over self-protection and the relaxing of concealed carry laws across the country. For example, Mossberg, the iconic maker of shotguns, has hired a new advertising agency that has developed a campaign stressing self-defense with its new slogan “Bad Guys Don’t Ring Doorbells.” And Savage Arms, known best for its bolt-action hunting rifles, has entered the fray with its first semi-automatic AR-15-style rifle, introduced in December. The success of Glock has drawn competitors seeking to take a bite out of its estimated 70-percent market share among law-enforcement personnel. Smith & Wesson, for instance, unveiled a new version of its highly successful M&P semiautomatic pistol, along with Czech gun maker CZ which released a similar one, its P-10C, late last year. But another Newtown or Aurora massacre could, according to the Motley Fool, force Trump’s hand into pushing for more restrictions on firearms. Although highly unlikely, thanks to the makeup of the new Congress, a change of heart by President Trump could force the focus back to political oppression, adding to the concerns Americans are increasingly feeling about the need to protect themselves from terrorists and other criminals. In any event, Krueger is likely to be disappointed in Las Vegas. The firearms industry isn’t going away anytime soon; it’s just changing its emphasis. This entry was posted	on Thursday, January 19th, 2017 at 6:46 am	and is filed under Crime, Free Market. You can follow any responses to this entry through the RSS 2.0 feed. You can leave a response, or trackback from your own site.